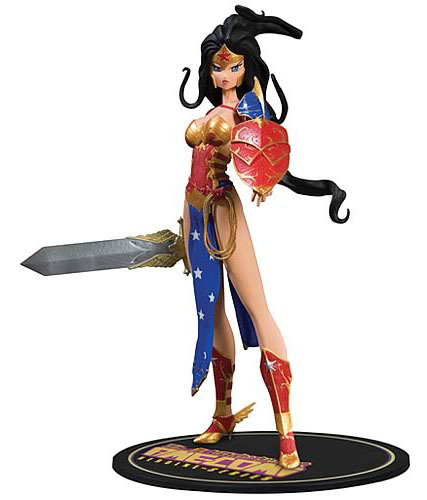 This is the Ame Comi figurine version of Wonder Woman. 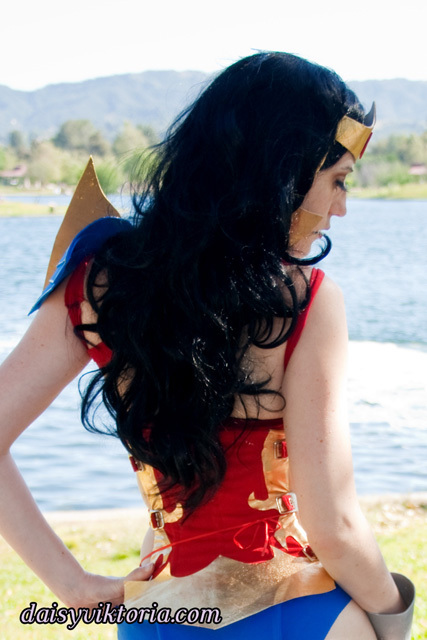 The corset buckles on the sides, and the designs are appliqued in metallic gold fabric. The accessories are made primarily of foam.